The informative documentary explores both sides of the issue — presenting perspectives of various clerics, and of the women who have suffered from the ancient law. “Talaq, talaq, talaq”. The utterance of the word 'talaq' thrice in succession by a husband has devastating consequences for the wife. 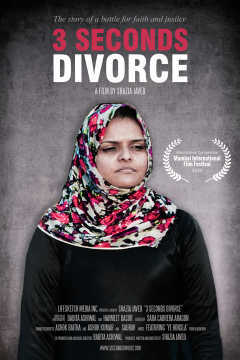 Canadian filmmaker (originally from Delhi) Shazia Javed’s documentary, 3 Seconds Divorce, delves into the murky politics and repercussions of triple talaq in the Muslim world. The documentary explores both sides of the issue. 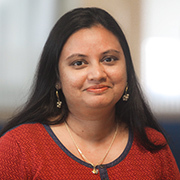 On one hand, it presents perspectives of various clerics who have their unique interpretations of triple talaq, and on the other hand, it speaks of the women who have no choice but to be pawns in the whole scheme of things. The documentary, in particular, features the story of one woman, Lubna, who rose to rebuild her life and educate herself on the ancient Sharia law that discriminated against her. The resilient Lubna goes to college and in turn, becomes an inspiration and consolation for other women who have been divorced on a whim, against their will. For Lubna, the process of rebuilding her life has been long; it took her years to come to terms with her situation and overcome depression. She now looks forward to empower herself and others in speaking out against the practice. The timely film (the Indian Supreme Court recently abolished the law in August 2017) speaks with the brave activists of Bharatiya Muslim Mahila Andolan (BMMA) and their lengthy fight to help the affected women and change the legislation to protect women in the future. They diligently lobby to gain signatures for the petition, that seeks to do away with the practice, and gather data from women in the Muslim community about their thoughts on it. Unsurprisingly, a majority of them are against it. 3 Seconds Divorce brings to light another aspect of triple talaq — the enforcement of 'halala' on the divorced wives. Under halala if a man wants to marry his ex-wife again, the ex-wife must marry another man first, consummate that marriage, get divorced again and only then can the first husband marry her again. One such husband, who regrets divorcing his wife through triplr talaq, resorts to halala. He and his family force his ex-wife to marry his brother-in-law, so he can marry her again. By putting forth such cases, Javed presents situations in which Muslim women are left powerless. The important 54 minute documentary hopes to bring worldwide attention to the topic and lays out the hard, unyielding facts out in the open. The housefull screening was attended by several members of BMMA and a few of the subjects in the film, namely Lubna’s mother and son. Javed keeps the focus on women throughout – from the activists to the courageous Muslim women who have decided to speak out about the injustices meted out to them. Their clear voices lift the documentary. 3 Seconds Divorce was screened in the International Competition category at the Mumbai International Film Festival on 1 February 2018.